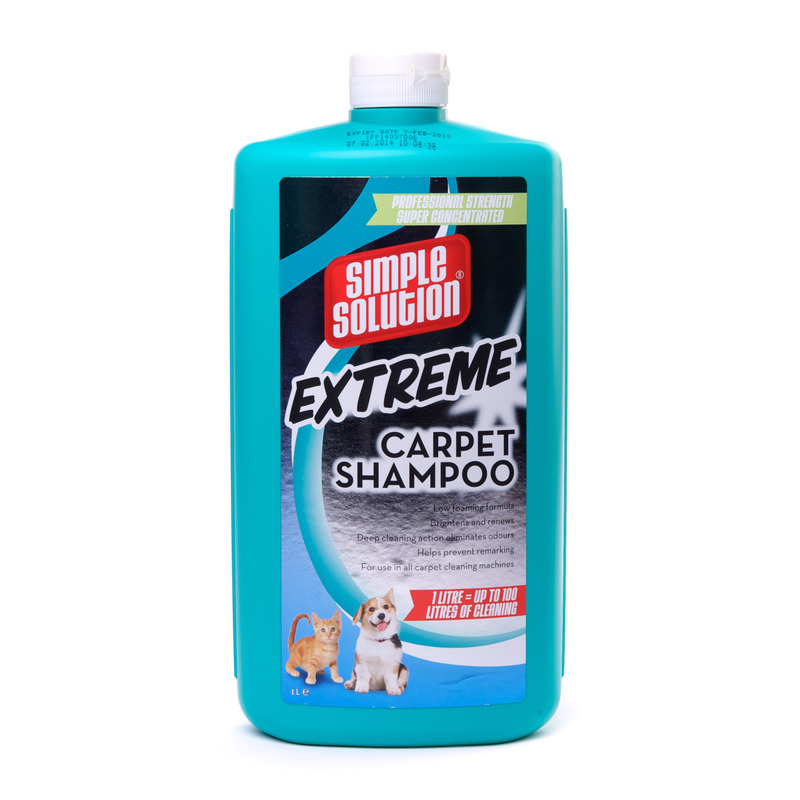 The Simple Solution Extreme Carpet Shampoo is a dual-action formula which neutralises and cleans carpets to eliminate odours and stains. It is low-foaming and leaves no sticky residue, just a spring fresh scent. Suitable to use with any cleaning machine. Concentrated formula dilutes to make 13 gallons. There are currently no questions for Simple Solution Extreme Carpet Shampoo - be the first to ask one!